I am about bursting out of my skin right now with excitement. 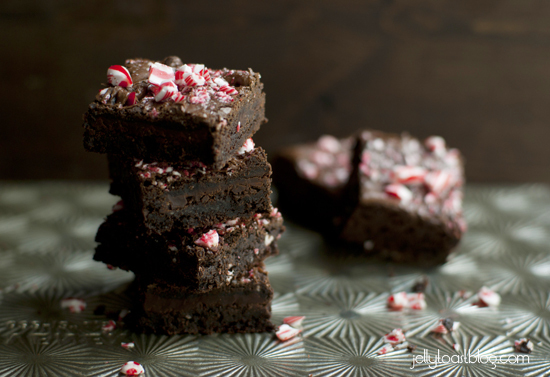 Partly due to these insanely addictive Dark Chocolate Candy Cane Brownies, and partly due to the fact that I am guest posting today over on My Baking Addiction. If you aren’t familiar with Jamie or My Baking Addiction, I highly suggest you remedy that quickly. 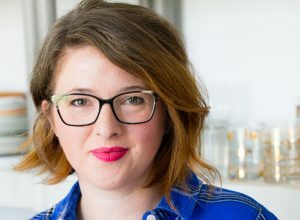 She’s bursting with baking knowledge and photo skills. Seriously, her photos will make you drool. Trust me. This whole thing started (for me at least) back in the summer. I was heavy into the prep/research phase of starting up Jelly Toast, and I read Jamie’s Blogging 101 posts for some help. Turns out they were awesome and a great amount of help. That coupled with having loved her recipes and photos for some time, I felt compelled to email her after I started up Jelly Toast and say ‘Thanks’. And keep in mind I was totally hoping I could write that email without seeming like her blogging groupie. Even though I felt like that a little bit. She wrote me back a short time later, and it turns out that we are practically neighbors and live just a few miles away from each other. Small world, huh? Well, she invited me to go to grab a coffee-which I promptly spilled on the table, because, well, that’s just who I am-and we started to chat. When she asked if I would be interested in guest posting, truth be told, I got pretty nervous. This is my first guest post. Ever. And it’s on MBA, soooo yeah, I am was a bit nervous. Luckily for me-and my nervous klutzy ways-Jamie is so kind and down to earth, she instantly put me at ease. After I calmed down, I set out to pick the perfect dessert to share over on My Baking Addiction and I have to say, I’m pretty pleased with my pick. I think you will be, too. 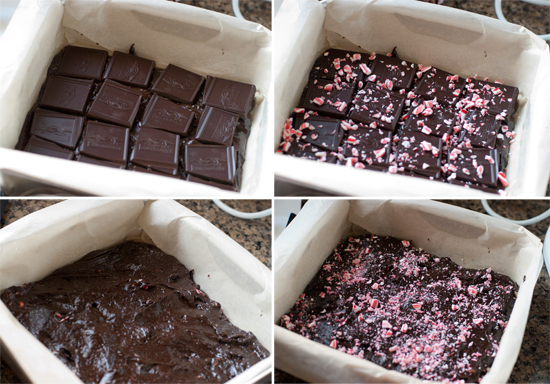 Head on over to MBA to see my post and the recipe for these incredibly decadent candy cane brownies. Enjoy! Your pretty much the best poster ever! I am so excited you’ll be joining MBA each month – I’m thrilled to have you! Thanks so much, Jamie! I can’t tell you how excited I am! Just found your blog, and I couldn’t be more pleased – especially with holiday baking just around the corner! BTW, your beautiful blue oven – it is a Wolf?